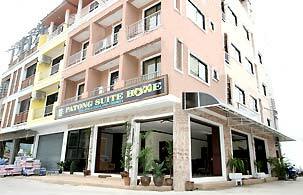 Patong Suite Home brand new in Patong Beach offers 20 comfortable and air conditioned rooms at a truly acceptable price. All of the fully furnished rooms have hot and cold shower, cable TV (UBC), mini bar and a safety deposit box. Laundry and room service is available. The reception is open 24 hours daily. This friendly guesthouse is a short walk from the beach and Patong Village ,the markets, the shopping centres and Patongs Famous Bangla Road. From here you will have a beautiful view of the green jungle covered mountains surrounding Patong Beach. It is the perfect place to fulfill all your needs, from partying hard to just lazing back. Simply put, its just another day in paradise.